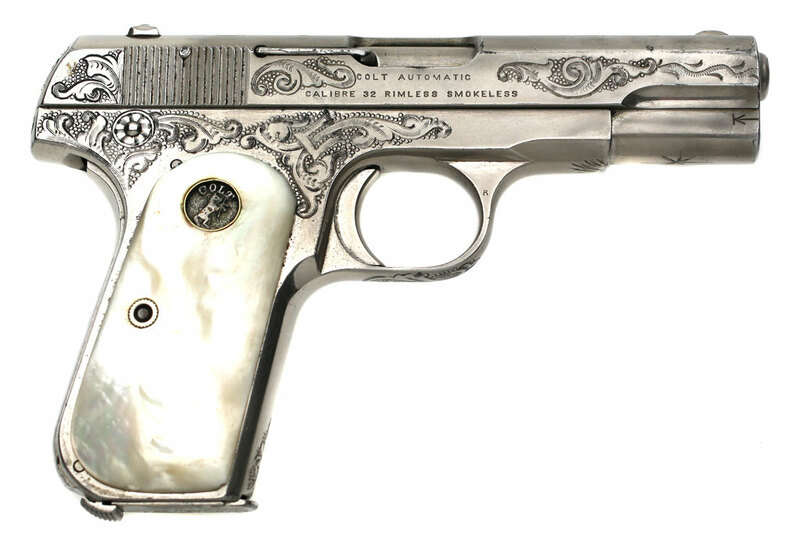 Colt Model 1903 Pocket Hammerless .32 ACP serial number 291468 - factory engraved, nickel plated with recessed medallion mother of pearl stocks. 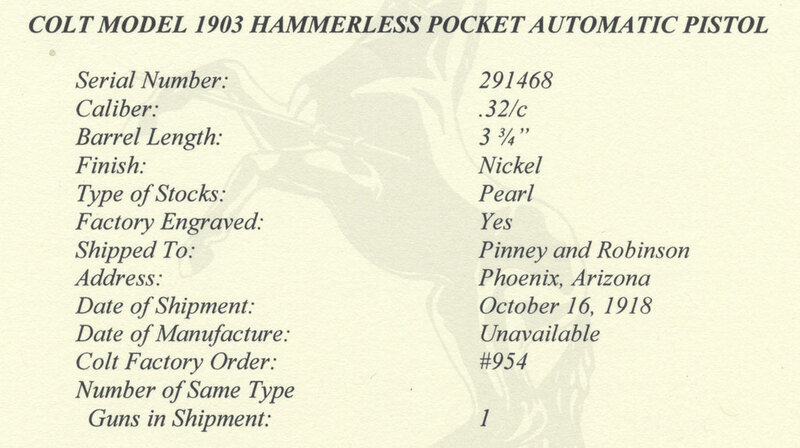 Pistol was a one gun shipment to Pinney and Robinson, Phoenix, Arizona on October 16, 1918. 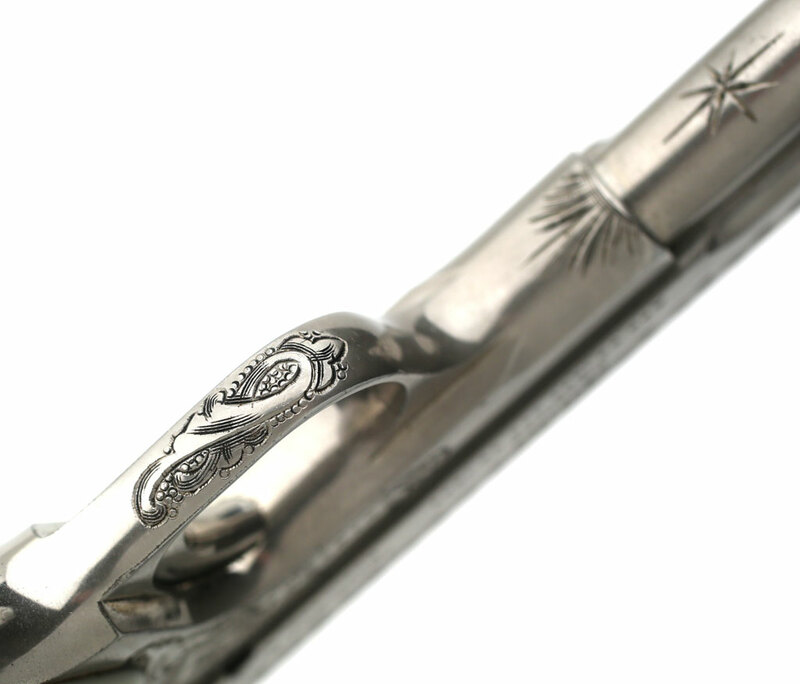 Shipment was processed on Colt Factory Order Number 954. 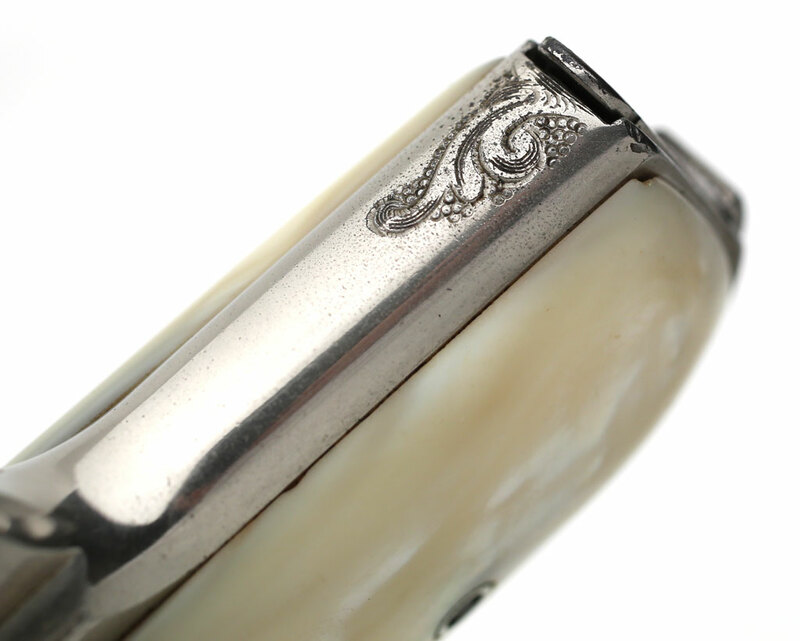 Engraving design is seen on Cuno Helfricht factory engraved pistols. 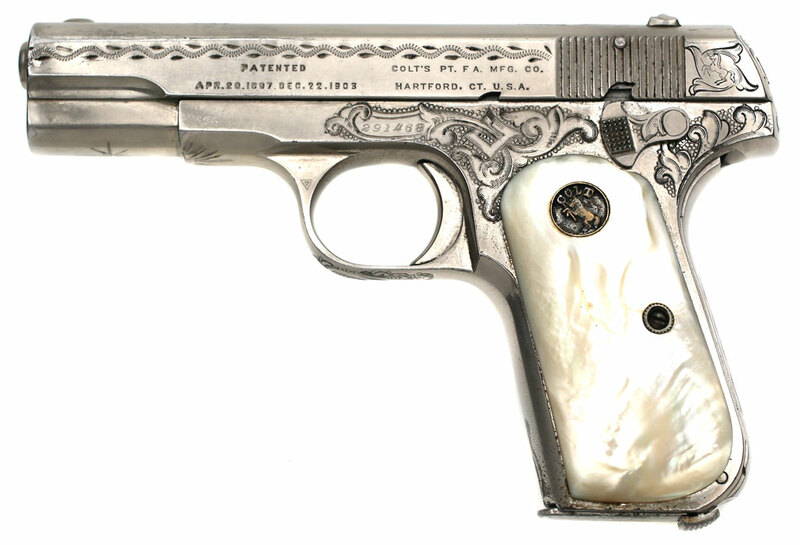 Colt Model 1903 Pocket Hammerless .32 ACP serial number 291468 - factory letter indicating that pistol was engraved, nickel plated with recessed medallion mother of pearl stocks. Pistol was a one gun shipment to Pinney and Robinson, Phoenix, Arizona on October 16, 1918. Shipment was processed on Colt Factory Order Number 954. 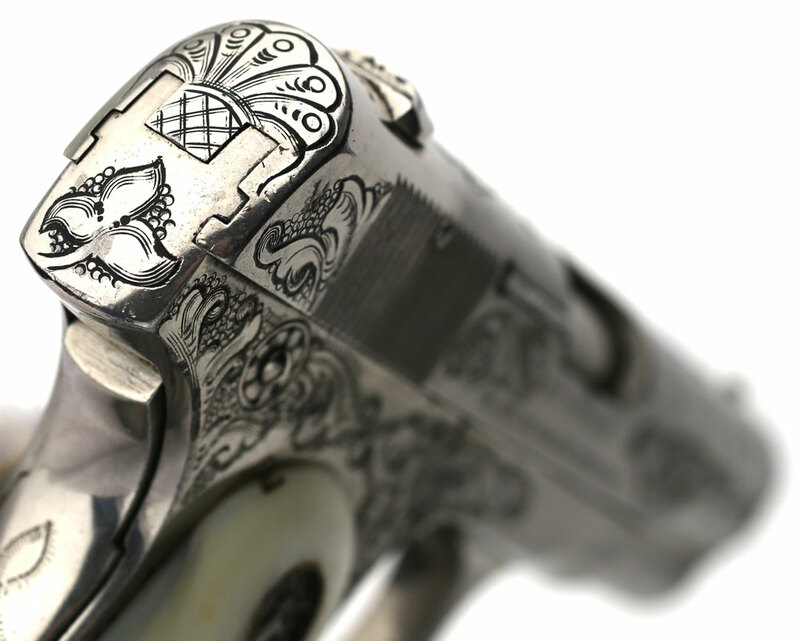 Colt Model 1903 Pocket Hammerless .32 ACP serial number 291468 - Right side view. Colt Model 1903 Pocket Hammerless .32 ACP serial number 291468 - grip safety. Colt Model 1903 Pocket Hammerless .32 ACP serial number 291468 - Top of slide. 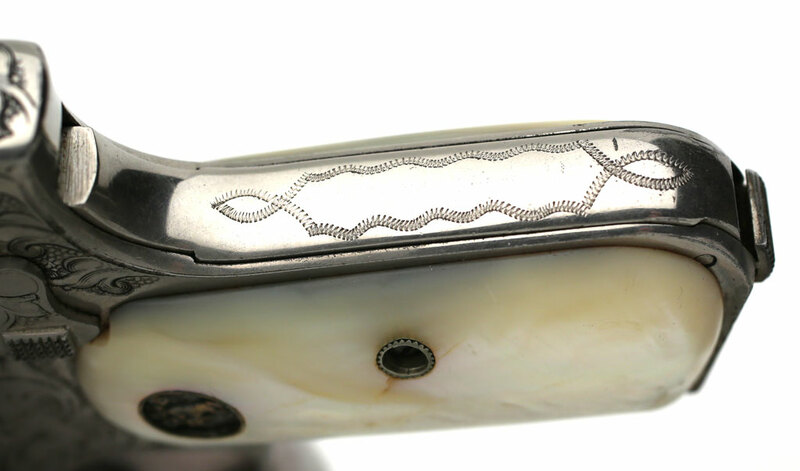 Colt Model 1903 Pocket Hammerless .32 ACP serial number 291468 - Rear of slide and frame. 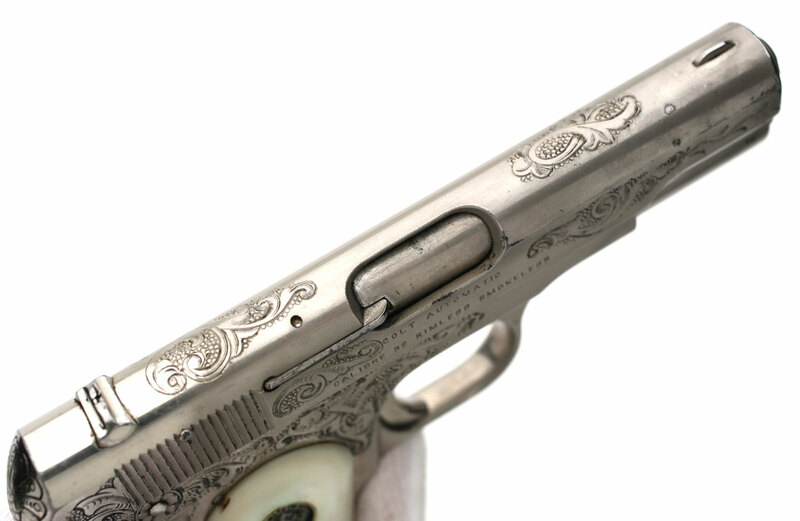 Colt Model 1903 Pocket Hammerless .32 ACP serial number 291468 - Trigger guard and underside of frame and slide. Colt Model 1903 Pocket Hammerless .32 ACP serial number 291468 - Front grip strap.